The post vSphere Upgrade process – WHY? appeared first on vBrain.info. IT infrastructure is nowadays crucial for every business. So if parts of the infrastruture are not running or the whole infrastructure is down, companies will not only lose money but also reputation. I was talking to a customer in my early days and we ask him “How long can you survive without your Exchange server“. The customers quick answer was 1 week. We already knew that the customer wasn’t aware about how many systems were using this server or which departments are heavily rely on a working e-Mail system and after a short conversion we were down to 1 hours maximum. Many customers don’t even know which systems are interacting with each other. That makes the following question even more important before I even think about an upgrade. And this is independent of whatever needs to be upgraded in your environment. Let’s assume you are currently running HPE Gen8/DELL Rx20 servers and vSphere 6.0 U2. Now you need to expand an existing cluster. The only possibility is to buy actual server hardware ( HPE Gen10/DELL Rx40). But both of them are only supported with vSphere 6.0 U3 and higher. So you need to either upgrade the existing cluster to 6.0 U3 or build a new cluster with 6.0 U3 or higher. When using VMware products there is a lifecycle matrix for every product which can be found here. In this matrix you find important dates like end of general support and end of technical guidance. Not only lifecycle but also compatibility between certain products is important. I will demonstrate this with an example. A customer is currently running VMware View 5.3.4 and vSphere 5.5 U1. He want’s to upgrade to vSphere 6.7 U1 because vSphere 5.5 is already end of general support. Here are the steps he needs to take to get there. As you can see going from a really old version to a newer one can include multiple tasked. Not to mention that every single task also includes several other subtasks like upgrading Horizon agents etc. As you can see staying on a real old version can make you a lot of headache in the future. So plan your software lifecycle accordingly. If you have to use newer operating system versions like Ubuntu 18.04/Debian 9/Windows 2019 Server you also need to upgrade because these are only supported on vSphere 6.5 and higher. You can check the operating system compatibility list here. With every new version of vSphere new features are introduced which makes your life as an virtualization administrator easier. If you have a requirement for e.g. HTML5 Client, PerVM-EVC, SMP-FT, VCSA improvements etc. you also have to upgrade to the newest version or to a version which supports your requirements. If you are working in the financial sector and produce payment cards you are liable to the PCI-DSS (Payment Card Industry Data Security Standard). In version 3.2 of this standard SSL/TLS 1.0 is not allowed. So you would need to upgrade to a vSphere version that supports TLS 1.1/1.2 to stay compliant with this standard. The last but one of the most important reasons to upgrade your environment are security related issues. This includes Meltdown/Spectre/Spectre-NG/L1TF and all the other ones which will arise in the future. Now that we know WHY we would need to upgrade an environments let’s go and gather all the required information we need. My next blog post will cover how to gather important hardware information. The post vSphere Upgrade process – Introduction appeared first on vBrain.info. Disclaimer: I’m working for VMware’s Professional Service Organization (PSO) as Technical Account Manager. I’m planning already on or have finished upgrading my customers to vSphere 6.5/6.7. Before VMware I worked as Consultant for different VMware partners in Austria. I have done a lot of upgrades in the past (4.x/5.x/6.x) and I could say I have some experience with it. This is my personal view on the topic “vSphere Upgrade”. In my professional life I meet a variety of IT people. Not all of them were as professional or good as they should be and some of them were really a risk to the business. During my time as a consultant I discovered that there are 4 categories of IT admins/professionals/peers you name it who are responsible for infrastructure and therefor for upgrades. Everybody knows this type of admin. They are waiting eagerly for the next software release and scratching their nails into the table the closer the date of GA comes. This category is one of the riskier one to your business. The reason for that is that they will install the newest piece of software into your production environment without checking all the dependencies and risks that is accompanied with such big release change. Also this type of people don’t care about processes, the only thing that counts is to be the first on the newest version. Just like the “Day 0 upgrade” the “superficial knowledge admin” is a risk to the environment and therefor for the business. The reason is obvious. Such person don’t understand or know the whole picture of a product. Or much worse they think they know everything about a product which is in most of the cases not true. If you have to deal with such person you need always concrete evidence in form of KB, guides or documentation to debunk a false statement he/she made. As you can image, working with such people is very time consuming and costs you a lot of mental energy. Normally they believe that everything they say is correct and without the right evidence it’s hard to prove them wrong. I’m in the virtualization space since 2007 and over time I learned that not only virtualization knowledge is important but also knowledge about surrounding systems (e.g. storage, network, backup etc.) and stuff you’re running in your environment (e.g. operating system, applications etc.). Unfortunately there are still a lot of people who are just looking at their part of the environment without having knowledge about the rest. They are really good when it comes to planning their upgrade for their own part of the infrastructure but they forget about the rest of the infrastructure which can also lead to some serious desaster if they are not interacting with the other departments. This category of people I love to work with because they have a general overview over the whole environment and know how certain pieces are working together. They are also good in engaging other departments, so that everybody knows which are the dependencies are in their infrastructure. During planning and implementation they follow the company processes (Change Management etc.) so that it is easy comprehensible after the upgrade is done. This type of professionals are running beta software in their production environment. The reason for doing this is always different. Some want to test the beta software with real workload, some don’t even know they are running beta code. The just took an ISO of the software laying around and installed it. Thankfully I encountered this type only once in the wild and this is already more than 10 years ago. In the next blog posts I will cover the following areas you need to consider when planning for an upgrade. I won’t cover an actual scenario e.g. how to upgrade from one version to another. It’s more like what do I need to know beforehand so my upgrade went as smooth as possible. 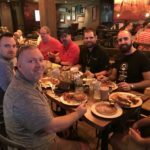 The post VMworld EMEA 2018 – #vBreakfast 2018 edition appeared first on vBrain.info. Please join Abdullah Abdullah and many more vNerds and vGeeks for the #vBreakfast 2018 edition. Unfortunately myself and Andreas couldn’t make it to VMworld EMEA this year but Abdullah will take care of all of you, even when it’s 7am morning. I think he also knows how to deal with the #GrumpyWaiter As I heard last years #vBreakfast was really awesome with more attendees than the year before. We had more than 25 people who joined us very early in the morning to get some coffee, snacks and great talks. Unfortunately I don’t have pictures from last year but I hope you guys make a ton of picture this year so I can share it for my next year blog post! I have also created an Eventbrite event to have an overview how many people will attend #vBreakfast 2018 edition. Registration for the event will be open from Oct. 15th 10am until Nov. 5th. There is no better way to get to know the community than with breakfast. Join Abdullah and many others in this growing yearly tradition of carbo-loading for an action-packed day on Tuesday from 7:00 to 8:30. After that we have plenty of time getting to the General Session. So follow #vBreakfast on Twitter to get the latest information about the event. As every year I hope to get a sponsor for this awesome event. Last year we were very fortunate to have RuneCast as our sponsor. I’m happy and thrilled to announced that this year Runecast will sponsor #vBreakfast again. Here is also my personal “THANK YOU” to the whole Runecast team for their support on such vCommunity event. You guys ROCK. The post VMworld EMEA 2018 – Parties, Gatherings, Events and more appeared first on vBrain.info. I created a small list of VMworld EMEA 2018 parties, gathering and events because attending VMworld is not only attending an IT conference it is also a big networking event where you can talk to vendors, tweeps or bloggers. What will be better for socialising than parties and gatherings at VMworld. Unfortunately I won’t attend the EMEA conference because I was at the US version. VMworld full conference or guest pass is required for some parties and for others you need to register because space is limited. If you are a vendor or somebody arranging a party or gathering at VMworld US please contact me on Twitter (@Fred_vBrain) or by e-mail (fred (at) vbrain (dot) info) so I can add your party/gathering/event to the list. (near Blogger area, vBrownbag stage) Get there and do a 5 minutes interview about their networking, VMworld or career story! Andreas Lesslhumer over www.running-system.com will maintain a list of parties and events for VMworld 2018 in Barcelona too. So check it out! Maybe he knows from a party that is missing here. The post VMworld 2018 US – VMworld has come appeared first on vBrain.info. It is again this time of the year where a lot of people gather in Las Vegas for one of the biggest conferences, VMworld 2018. So to say it in Game of Thrones terms: VMworld has come. This year I’m really thankful that I could make it to this awesome conference. A big thank you goes to my wife for making this possible to me and taking care of our 2 kids during my absense. In the past I have only attended one VMworld US which was in 2012 in San Francisco. There I was sheer overwhelmed about the size and the people you can meet there. VMworld Barcelona is also big but the US conference is even bigger. Thanks god it’s not my first time in Vegas. I was there during my vacation in 2012 and during internal VMware events so I know what I have to expect. Unfortunately it is already Sunday and I didn’t finished this post in time. I met up with Ather Beg and we explored possible path to the venue so we won’t get lost the next day. After that we went for dinner and at 9pm I was already so damn tired that I needed to get to bed. Sunday really started early because I woke up at 5am and was surprisingly refreshed. I made myself ready and went to the registration. I really didn’t expect so many people at the registration at 7am and it looked like that there was some problems printing the badges because I waited nearly 25min to get mine. Others got their badges in less then a minute. After finishing the registration I cought up with Shane Williford who is running the #vBreakfast US. At the breakfast I met few other people who I didn’t met face to face in the past like Mark Crawford, James Green, Ken Nelbone, Joe Houghes and Richard Kenyan to name a few. After breakfast I made my way to the VCDX Workshop (again, 3rd time). This is the type of workshop which should remind me that there is still a goal on my bucket list I need to accomplish. After a short break I attended the vSphere Upgrade Workshop led by David Stamen and Nigel Hickey. This gave me the last inspiration how to run such workshop for my customers in Austria and also gave me some additional input to my VMTN community session on Wednesday (VMTN5534U – vSphere Upgrade Process – 2018 Edition). In the evening I have planned to attend the VMworld Welcome Reception and the VMunderground party. I hope to see a lot of you guys there. Just if you know me and obviously want to chat with me come by and say hello. I can assure you I won’t remember your name so hopefully you will wear your VMworld badge. From 5pm to 6pm there will be also a book signing session for “Clustering Deep Dive” at the Rubrik booth (#1334). You can meet and chat with the authors (Duncan Epping, Niels Hagoort and Frank Denneman) there . At about 6:30pm the real fun for this day will happen. The VMworld hackathon. I have not attended the previous one because I didn’t fell useful for a specific team, but that is not the intention for the hackathon. The intention is that there are team who can learn and create something which is cool and even if you’re thinking that you can’t contribute anything you will get a great learning experience out of that. On Tuesday I will watch the General Session from VMvillage and I’m really looking forward to the talk of Noble peace prize winner Malala Yousafzai. To be honest I haven’t heard about her before but after reading her history and what she is doing I was really impressed and inspired by her. From 10:30am to 11:30am there will be a book signing session at the Runecast booth (#2835) for “IT Architect Series: Foundation In the Art of Infrastructure Design: A Practical Guide for IT Architects” written by John Arrasjid, Mark Gabryjelski and Chris McCain. All the authors will be there to sign the book. In the afternoon I will be most of the time at the blogger area or VMTN theater. I have also the following community sessions on my list for attending. In the evening I’m registered for the #vExpert party and the legendary Veeam party. Let’s see how I can split myself to attend both. Looking mainly forward the the #vExpert one because there is a bigger chance to chat with fellow vExperts. Wednesday is a more busy day at VMworld for me. I have a session on the list to attend but as an employee you’re not allowed to pre-register for a session so I will show up there and see if there is any place left. The session I’m talking about is from Katarina Wagnerova and Mark Brookfield about “Designing for the Unexpected: Delivering IT on a Boat with VMware Horizon [VIN2650BU]”. From 11:00am to 11:30am I will be part of the “vExpert Daily“. Not sure what to expect now but Im really looking forward to this stuff because this is something which is putting me outside my comfort zone. At 12:15pm I will meet up with all the #vBeards at VMworld to do an awesome vBeards photo. In the evening you will find me at the VMworld FEST. As Thursday is the last day at VMworld and everybody will be tired and exhausted I have no specific plans. As always you can find my around VMTN or at the Solutions Exchange. VMworld will be busy and exhausting like every year but I really do like the show and the people who are attending. It’s a great place to be and to meet old and new friend and I won’t miss that for a minute. Also if you’re still don’t know which party to attend check out my party list post. Also if you find any spelling error, you can keep it! The post Spectre-NG – CVE-2018-3639 and CVE-2018-3640 appeared first on vBrain.info. As you might already have heard via other sources, two new variants of the Spectre Attack have been made public in May. From a VMware perspective updates for both were released last week. 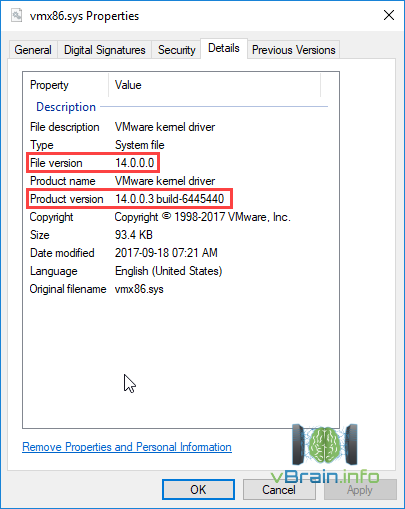 Here are the corresponding Security Advisory (VMSA-2018-0012.1) and KB article (KB54951). I created the above list to get access to the corresponding KB article more quickly as well as to the downloads. Normally you would update your ESXi hosts through VUM (VMware Update Manager) and your vCenter through the VAMI interface. Sometimes there is a requirement (e.g. environment without internet access) where you need to download the mentioned offline bundles respectively the vCenter patch ISOs. For everybody running already vSphere 6.5 in their environment they would need to update to 6.5 U2. Because there is still a backup problematic going on and only a handful of backup vendors support 6.5 U2 currently, I strongly recommend to NOT update to 6.5 U2 yet. For more information, please refer to the KBs listed below. VMware vSphere, Workstation and Fusion updates enable Hypervisor-Assisted Guest Mitigations for Speculative Store Bypass issue. VMware updates that enable Hypervisor-Assisted Guest Mitigations for CVE-2018-3639 are documented in VMSA-2018-0012. This mitigation requires Intel microcode updates which, at the time of this article’s publication, are not yet available. The combination of Intel microcode and VMSA-2018-0012 updates will expose the Speculative-Store-Bypass-Disable (SSBD) control bit to guest operating systems. Detailed instructions on enabling Hypervisor-Assisted Guest Mitigations for CVE-2018-3639 are found in KB55111. VMware has investigated the impact that CVE-2018-3639 may have on VMware Virtual Appliances, and while investigations are ongoing we have not found any evidence that VMware Virtual Appliances are affected by this issue. VMware recommends contacting your operating system vendor to determine whether or not SSBD is recommended. At the time of this article’s publication, multiple OS vendors have decided that SSBD will be disabled by default in their OSes as they have classified the overall risk of CVE-2018-3639 as low and the performance impact imposed will be non-trivial. CVE-2018-3640 is resolved by a microcode update. ESXi will include the mitigating microcode updates for supported CPUs as a convenience, after they have been provided to us and tested by VMware. Alternatively, you should also be able to obtain the microcode update for your CPU as part of a firmware/BIOS update from your hardware system vendor. Code changes are not required for any VMware products to mitigate CVE-2018-3640. Included microcode will be documented in ESXi release notes. Note: If newer microcode is already present on your system because of a firmware/BIOS update, ESXi will not replace it with older microcode shipped as part of an ESXi patch/update. For the latest information on how mitigations for the aforementioned issues may affect performance, see KB55210. Mitigation of CVE-2018-3639 within a VM or native OS is greatly assisted by a new speculative-execution control bit known as Speculative-Store-Bypass-Disable (SSBD). In order to use this hardware feature within virtual machines, new Hypervisor-Assisted Guest Mitigations must be enabled to pass this control bit to the Guest OSes. Ensure that your VMs are using Virtual Hardware Version 9 or higher. See KB1010675 for details on Virtual Hardware versions and requirements. For best performance, Virtual Hardware Version 11 or higher is recommended. Virtual Hardware Version 11 enables PCID/INVPCID. Power Off and then Power On the virtual machine (Restart is insufficient). The post VMworld US 2018 – Parties, Gatherings, Events and more appeared first on vBrain.info. Attending VMworld is not only attending an IT conference it is also a big networking event where you can talk to vendors, tweeps or bloggers. What will be better for socialising than parties and gatherings at VMworld. 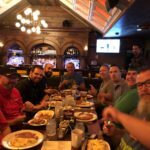 I created a small list of parties, gathering and events going on at VMworld 2018 US. Normally I’m just doing the EMEA list. But this year I will do both because I will attend the US conference. VMworld full conference or guest pass is required for some parties and for others you need to register because space is limited. Andreas Lesslhumer over www.running-system.com will maintain a list of parties and events for VMworld 2018 in Las Vegas too. So check it out! Maybe he knows from a party that is missing here. The post Backup Interoperability Matrix Major Update 2018-06 appeared first on vBrain.info. You can find the latest backup matrix update for VMware here and for Hyper-V here. In this update I have also moved 5.5 to the legacy matrix although it’s not End of General Support yet. For the next update I try to update the tables to have a better readability. In details that means that I will move VVOL/vSAN related information to a seperate table for a better readability. The post Windows VM with EFI fails to start appeared first on vBrain.info. The operating system couldn’t be loaded because the kernel is missung or contains errors. That was really strange so the customer tried to do the same installation in their old environment and there was no problem. They also migrated the VM to the new environment and it booted up normally. But after a reboot the migrated VM shows also the same BSOD. So what was different in these two environments? vCenter Server was running 6.5 U1e which includes the first Spectre update. So after the customer called me and explained the situation my first assumption was that the Spectre update and the new CPU features (IBRS, IBPB, STIBP) were the problem. The reason for that was because the vCenter was running the first patch for Spectre and the 6.5 hosts the second patch for Spectre. Unfortunately I couldn’t find anything external nor internal. But what I found was a Case with the same behaviour we encounter which led to the KB article 2137402. There was a situation with Windows VMs using EFI and a EMC XtremIO storage explained. Maybe this could also be the same problem with Pure Storage. But just to be sure I digged deeper and found a more general KB article 2146167. It looks like that the root cause for the problem is a compatibility issue between VMware EFI firmware and the storage array when the SCSI commands the EFI firmware is sending exceeds the maximum I/O size of the storage device. After having this information it was easy to find a Pure Storage VMware Best Practice Guide. In that guide it is recommended to set the Disk.MaxIOSize from 32MB (default) to 4MB when running EFI enabled VMs. After my customer has changed the setting he could immediately power-on the Windows 10 VM. There are still some question I can’t answer yet. Is this only happening with EFI enabled Windows VMs? Is this only happening with Pure Storage and XtremIO or do other storage vendors facing the same issue? If somebody had problems with EFI enabled Linux VMs and other storage vendors, please leave a comment. 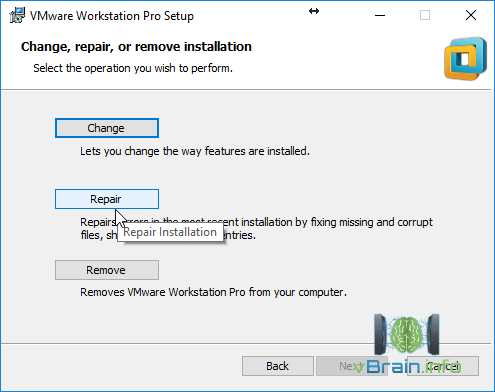 The post Workstation 14 Upgrade – Authorization Service error 6000009 appeared first on vBrain.info. 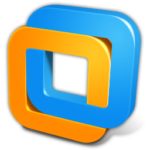 VMware Workstation failed to start the VMware Authorization Service. You can try manually starting the VMware Authorization Service. If this problem persists, contact VMware support. Source vmauthd – Version mismatch with vmmon driver: expecting 329.0, got 308.0. As you can see the file was not updated during the Workstation 14 upgrade. That now the reason why the VMware Authorization Service can’t start. Configure vmx86.sys to not load during windows boot. To do this use either SysInternals Autoruns (uncheck vmx86 under Drivers) or Registry Editor. After the reboot rename vmx86.sys under C:\Windows\System32\drivers\ to vmx86.sys_old (or whatever you prefere). I hope this will help everybody who also encounter this problem.